How do you check on baby while child is in bag pack carrier? Turing around every-time can be painful for your neck. Small item Chums Rearview Mirror solves this problem in most easy manner. 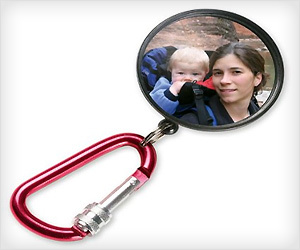 It is a clip on baby convex mirror which is retractable.